Ticks can be found year-round but are most prevalent in the warm summer months. They are parasites, and as a result, are on a continual quest for a host. If a host is not available, a tick can survive up to a year without feeding. A female tick must have a blood meal before she can lay eggs. After feeding, she drops off her host and lays thousands of eggs. A female tick lays one batch of eggs, after which she dies. A male tick also dies after reproducing. There are two established families of ticks: hard ticks and soft. A tick matures from egg to adult in stages. Depending on the family, some reach maturity in only a few stages of growth. Other varieties may take as many as eight stages to develop. The length of time to reach maturity also depends on factors as temperature, humidity and availability of food. With regard to physical characteristics, an immature tick has six legs; a full-grown adult has eight. Ticks transmit a number of diseases as a result of feeding off both human and animal hosts. Examples include Rocky Mountain Spotted Fever, Lyme Disease, Q Fever, Tularemia, Tick Paralysis and Meningoencephalitis. 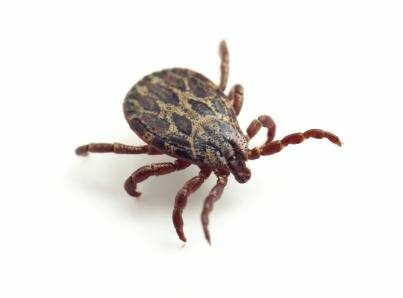 Ticks often prefer certain hosts over others, resulting in names as Deer Tick, Cat Tick, American Dog Tick, Bat Tick, Bird Tick, etc. The family pet is a popluar carrier of ticks, which unfortunately results in a tick entering a home. After feeding for a few days, a female tick will drop off of her host to lay eggs. Ticks seek out tiny crevices in which to store their eggs, which can result in a full-blown infestation of your home. Attempting to rid your home of the tick infestation can be difficult and frustrating, as eggs can hatch months later, long after you think you have the situation under control. For the best results in combating an tick infestation, contact a professional pest control company. 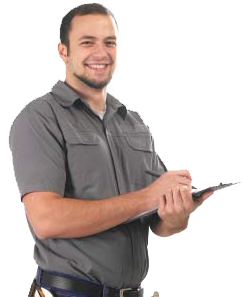 Our technicians create customized treatment plans and maintenance programs for each and every customer. We make sure they have the most up-to-date knowledge of techniques available for use in treating your home and business!